Are you dealing with a puffy eye or one swollen eyelid? There are several reasons why your eyes could appear to be inflamed but when is it time to do something about it? Typically, when you experience eye swelling, it lasts between 24-48 hours. If you have any severe pain or vision problems, you should immediately seek out an eye professional to see if your swollen eyelid is cause for concern. 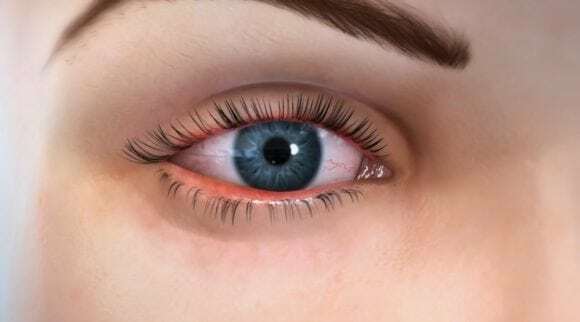 Some of the common causes for one swollen eyelid include environmental irritants, bacteria, inflammation inside the body, infections, and allergies. Allergies: This is one of the most common causes of eye puffiness and can be easily treated. 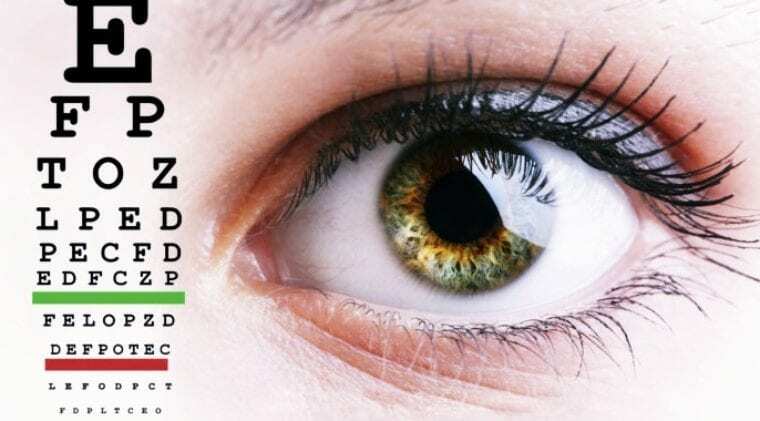 Contact Lenses: If you experience puffy or swollen eyes after wearing contact lenses, you should make sure you are cleaning your contacts properly before inserting them. You can also experience contact lens eye discomfort when swimming, sleeping for long periods of time in your contact lenses, or wearing a torn contact lens. Stye: Often caused by an infection of the eyelash follicle or tear gland. You will find red bumps at the edge of your eyelids that may get larger before they eventually disappear. 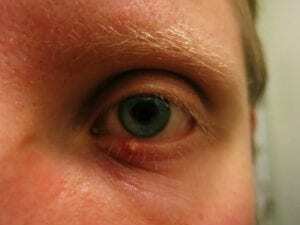 Pink Eye (Viral Conjunctivitis): Mainly seen in the cold and flu season. It is highly contagious so optimal hygiene should be followed. Chalazion: Small bump that can be felt and seen on your eyelid. Chalazia are caused by blocked oil glands. Eye Injuries: Any trauma to the eyes can cause the eyes to appear puffy or swollen. Black eyes and trauma from cosmetic surgery (for example, eyelid surgery) can trigger eyes to appear red or swollen. Preseptal cellulitis: Very common infection that is caused by bacteria or viruses. 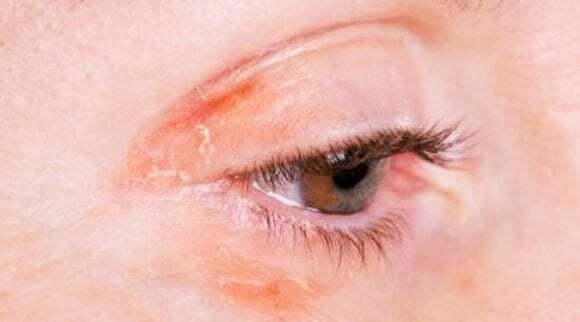 It can cause inflammation of the eyelid and eye area. Blepharitis: This is caused by malfunctioning oils glands at the base of the eyelashes. Blepharitis generally causes inflammation of the eyelids. 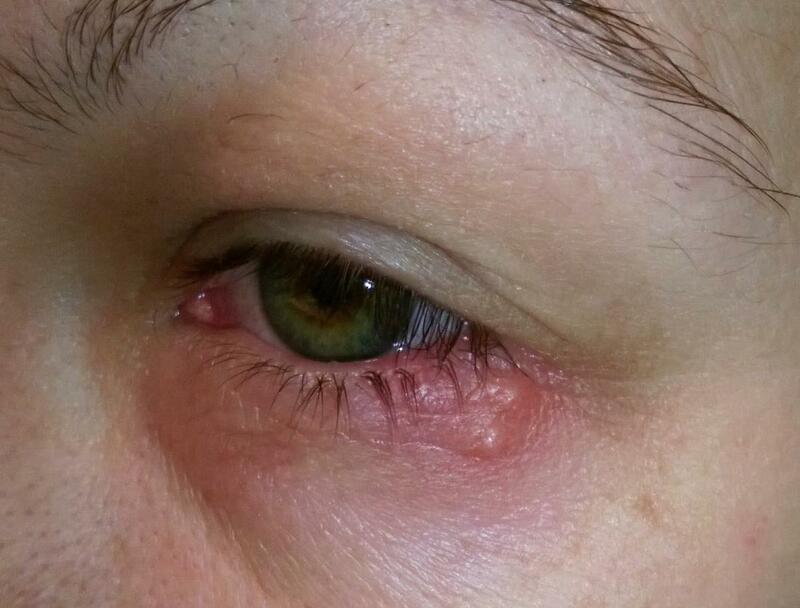 Orbital cellulitis: A rare infection that effects the upper and lower eyelid and even the eyebrow and check. It can cause painful swelling, vision problems, fever and general eye pain. Graves disease: Graves relates to an existing thyroid problem and is categorized under autoimmune. 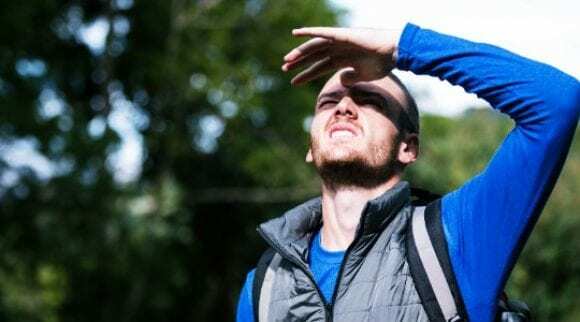 As a side effect of the thyroid problem, you can also have inflammation of your eye(s). If you experience one eyelid swollen on a regular basis, you should consider a daily treatment that will provide comfort to your dry, puffy eyes. From wipes to oils to creams, you should consider using an all-natural product that will soothe and treat your eyes effectively without introducing additional chemicals and irritation to the eye area. Yon-Ka Phyto-Contour helps minimize the appearance of swollen eyes and make them brighter and more awake looking. This gently lifts skin to give a more youthful appearance. Essential oils like lavender, cypress oils, and rosemary help remove fluid buildup and erase eye wrinkles. The contour cream also helps with blood circulation to reduce dark circles and puffiness around the eyes. Yon-Ka Phyto-Contour has a minty scent that will keep you energized. It is also paraben-free, so you will not have to worry about putting unnecessary chemicals on your sensitive skin. Ingredients: Water/Aqua, Hydrogenated Palm Kernel Oil, PEG-33 Castor Oil, Rosmarinus Officinalis (Rosemary) Leaf Extract, Glyceryl Stearate, PEG-100 Stearate, Cetyl Alcohol, Corylus Avellana (Hazel) Seed Oil, Glycerine, Propylene Glycol, Fagus Sylvatica (Beech) Extract, Sclerotium Gum, Lavandula Angustifolia (Lavender) Oil, Pelargonium Graveolens (Geranium) Flower Oil, Rosmarinus Officinalis (Rosemary) Leaf Oil, Cupressus Sempervirens (Cypress) Oil, Thymus Vulgaris (Thyme) Oil, Carbomer, Triethanolamine, Tocopheryl Acetate (Vit.E: 0.2%), Borneol, Aloe Barbadensis Leaf Juice, Methylparaben, Propylparaben, Citric Acid, Limonene *, Linalool *, Citronellol *, Geraniol *, Citral *. * Natural Components of Essential Oils. The Heyedrate eye mask is perfect for soothing your eyes after a long day or for an impromptu afternoon power nap. Microwave the eye mask and bask in the soothing heat that helps reduce redness and puffiness with gentle heat compression. You will love the warm compression on your swollen eyelid as it absorbs moisture from the air and turns it into centralized moist heat. 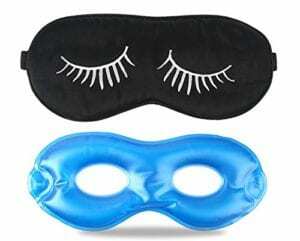 If you are having trouble sleeping, this eye mask can help transport you to your favorite spa. The soothing moisture will help provide instant relief for your dry, sore eyes. This is a natural way to treat common eye conditions. No chemicals or extra products are needed. In under 30 seconds, you can treat your eyes for up to 10 minutes, with warm, clean heat. The eye mask is washable and reusable. The eye mask also comes with a convenient storage pouch, so you can take it with you when you travel. Wilma Schumann eye pads will decrease the look of swollen eyelids, tired eyes, wrinkles, and fine lines. 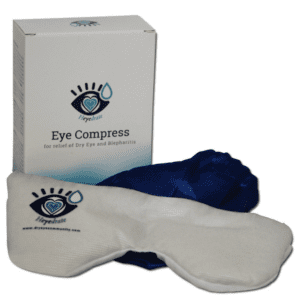 The eye pads are filled with hyaluronic acid and 100% pure collagen to soothe and improve swollen eyes. The eye pads are great for sensitive and allergy prone skin and do not contain parabens. They are enriched with Allantoin that gives a cooling sensation and helps generously hydrate the skin for a younger looking appearance. How to use: Clean eye area of any makeup, dirt, or oil. Open disposable foil pack and place one pad under each eye. Gently tap the top of the eye pad to make sure it has adhered evenly. Leave the eye pads adhered for 20 minutes, peel off and throw away. Eye pads are one-time use only. Need a cooling eye mask? Thera Pearl Eye Mask is filled with gel pearls that hold their cold or hot temperature for approximately 20 minutes. Each pearl absorbs temperature, giving you longer hot or cold therapy treatments. Perfect for puffy eyes, allergies, dry eye and headache/sinus related eye pain. For best results, freeze for at least 2 hours before use. Cold therapy is best for reducing puffy eyes from allergies, pain associated with migraines, decreasing dark circles, and aiding the healing process after eye surgery. You can also microwave the mask if you prefer heat. Heat therapy is best for dry eyes, sinus congestion, and pain that occurs after swelling has decreased. Suggested heating time is 15 seconds (700 watt microwave). Heating for longer than the suggested time can result in damage to the mask or burns on your face when using. Always test the temperature of the eye mask before placing on your eyes. The eye mask is reusable and non-toxic. It is free of latex, BPA and phthalates. The Fitglam Pure Silk Sleep Mask is super soft and comfortable on the face. Use the sleep mask by itself or add the included bead pearl gel eye mask. Fitglam is made with 100% mulberry silk on both sides including the inside padding. Super smooth and soft, this fabric is hypoallergenic, contains natural proteins and 19 amino acids, and helps slow the signs of aging. Feel comfortable using the nontoxic soft PVC insert. 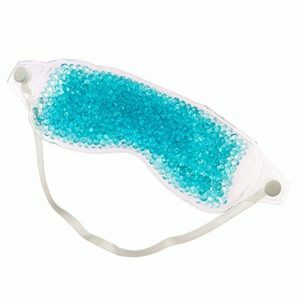 The gel eye mask can be used both cold and hot. The gel eye mask is made with nontoxic condensate, and there is no plastic-y smell. The fabric is breathable and very lightweight. It is safe for all ages. Convenient buckle design will not damage hair, and it’s easy to adjust so that it will not fall off when you toss and turn in bed. This eye mask cannot be heated in the microwave; you must soak it in hot water for 2 minutes. Always check the temperature of the eye mask before placing on your eyes. The mask comes with an easy to clean travel bag for easy access when you are on the go. Bonus moldex ear plugs are included for the ultimate spa anywhere experience. The cold therapy clay eye mask by FOMI is a unique, reusable, moldable clay wrap. The clay is all-natural, medical grade and is infused with non-toxic oils to repair your skin. The clay eye mask stays at temperature longer than gel and can be placed in the refrigerator or freezer to create a cooling effect. It features secure fasteners that provide a custom fit and the mask is double sided for extended use. Choose from a super soft plush fabric for a luxury spa experience or use the other side that is made with PVC for a more direct impact to ease aches and pains. If you have skin sensitivities to hot or cold, do not apply this product to your face. Always test the product for a couple of minutes first if you are unsure what your skin’s reaction will be. This clay eye mask generously covers the eye area and sinuses for overall pain reduction and one swollen eyelid. The eye mask is also completely flexible even when cold to fit your face like a glove. The cleansing oil was created by Optometrist, Dr. Tanya Gill, to have a natural alternative to mainstream cleansing oils. After noticing patients were struggling with red, tired eyes, she began to look for a natural cure. Unable to find one she wanted to put her name behind, she created We Love Eyes. All Natural Tea Tree Eyelid Cleansing Oil is made with premium, vegan ingredients. The product is gluten free, contains no sulfates or parabens and no fragrances or dies. We Love Eyes is also proud to be cruelty free. Dr. Gill was determined to not use retinoid. Retinol products are known to damage the meibomian glands (eyelid oil glands) over time. She was also set on making the product with no harsh preservatives or preservatives that are naturally plant-based. When you are dealing with dry, itchy or swollen eyes, you want relief right away. However, since it is your eye area, you also want to make sure that the product you are using is non-toxic and will not react adversely. We Love Eyes cleansing oil does not contain any harsh chemicals. 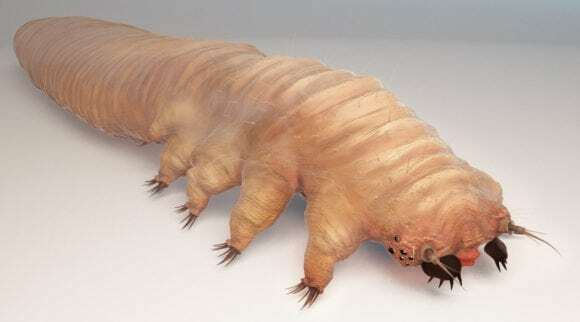 It is great for the relief of blepharitis and demodex. Primarily made from tea tree oil, you will love how it easily removes dirt, debris, makeup and environmental toxins. Other key ingredients include organic jojoba oil (to help keep pores clean) and grapeseed oil that works as an anti-inflammatory to keep your skin looking youthful. 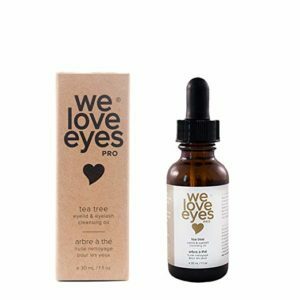 We Love Eyes is great for people who suffer from dry, itchy eyes on a day to day basis. The chemicals you use on your face from your mainstream moisturizers, makeup, etc. can be causing your eyes to suffer from redness and inflammation. The formula is also beneficial for contact lens wearers. We Love Eyes can keep your eye area hydrated and less puffy. When using the product, your eyes will look whiter and brighter even when your contacts are in. Day to day life and work environments can create a lot of dust and dander around the eyes. Dr. Fischer created an eyelid wipe that is gentle on the skin, free of preservatives and alcohol. 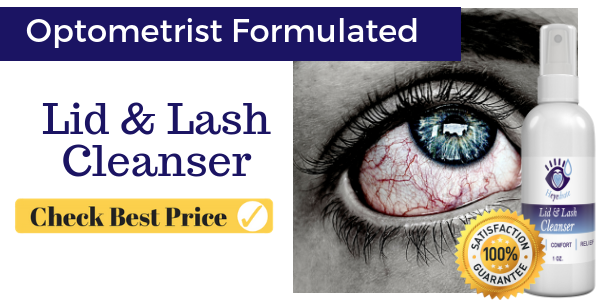 This product helps cut down on the bacteria around your eye area and is especially helpful for people suffering from conjunctivitis and blepharitis. It is great for people of all ages. 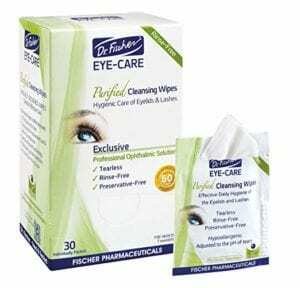 The eyelid wipes are also recommended for people with sensitive skin. They will remove dust, dander and other irritants without causing pain or irritation. Each package contains 30 wipes. This package will allow to use the product daily for a healthy, eye care routine. For best results, use a new wipe for each eye. You can also use the eyelid wipes in conjunction with other doctor recommended treatments includes eye drops or ointments. Ingredients: Water (Aqua), Polysorbate 20, Disodium Phosphate, Lauryl Glucoside, Sodium Chloride, Sodium Phosphate, PVP, Disodium EDTA, Chamomilla Recutita (Matricaria) Flower Extract, Glycerin, Caprylic/Capric Triglyceride. How to use: just tear open the disposable package, retrieve the wipe, close your eyes, and clean your eye lids and eye area. Once complete, discard the wipes in the trash. This face and eye cream is handmade in the USA. The product contains no chemicals, no fillers, no SLS (Sodium Lauryl Sulphate), no parabens, no fragrances, and is non-GMO, gluten free and cruelty free. It is great for rejuvenating eyelids, the face, neck, hands, and anywhere you need to soften the skin. Raw honey acts as a barrier against toxins, stimulates collagen and skin cell regeneration. 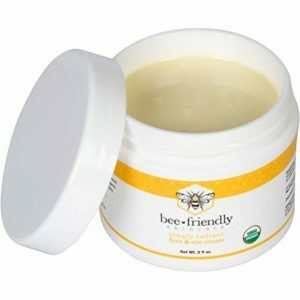 Beeswax helps keep your skin youthful. Propolis helps your skin heal. Bee pollen provides nutrients to the skin. Organic olive oil has vitamin A and vitamin E to mimic the fatty acids found in your skin. 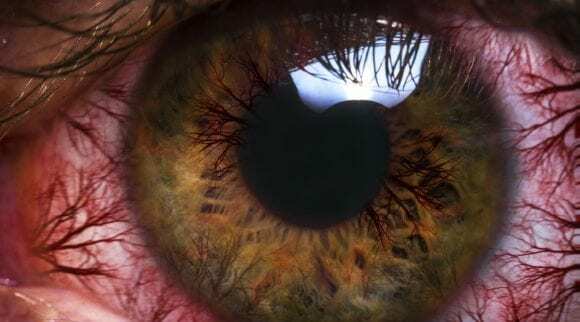 Almost everyone will experience one swollen eyelid in their lifetime, which can be cause for concern if it happens frequently or if it increasingly gets harder to get rid of your red, puffy eyes. If you frequently experience one eyelid swollen and it’s sore, consider getting tested for allergies or other conditions. This is the most common cause of swollen eyes and is easily treatable. Just by having an allergy panel done, you can find out what you are allergic to and avoid using that chemical or substance near your eyes and body in general. Choose cosmetic products that do not have excess chemicals in their formula. Especially for use around the eyes, select products that are fragrance-free and work for all skin types. 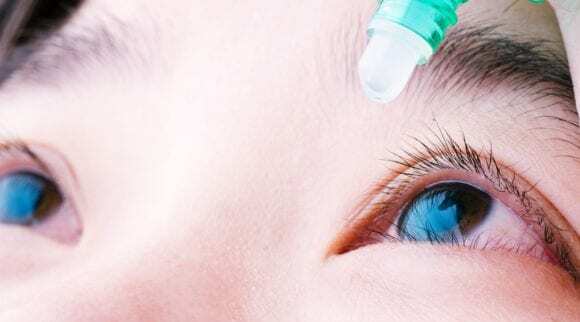 If you decide to use eye drops, choose preservative-free. Preservatives are bad when used on a regular basis and can actually contribute to excess growth of bacteria around your eyes. If you wear contact lenses, it is important to practice good hygiene. Always clean your contacts before placing them in your eyes and in an approved container for storage. The container should be cleaned daily as well since bacteria can form and contaminate the container or saline inside the contact lens case. Always replace your contact lens when recommended from the particular manufacturer. When you experience one swollen eyelid, take the time to properly cleanse the area frequently to keep attentional bacteria and dirt from irritating it. If the affected eye does not improve within 24-48 hours, contact your eye care professional to see what may be the underlying cause of your eye condition. Once your eye doctor has diagnosed your particular eye issue, you can purchase the right treatment to keep your eyes clean and healthy.